The standard wooden seat plates come in various sizes. The first dimension is the width, and the second, the depth. Size L fits the Sup'Air Minimax (1) passenger harness. 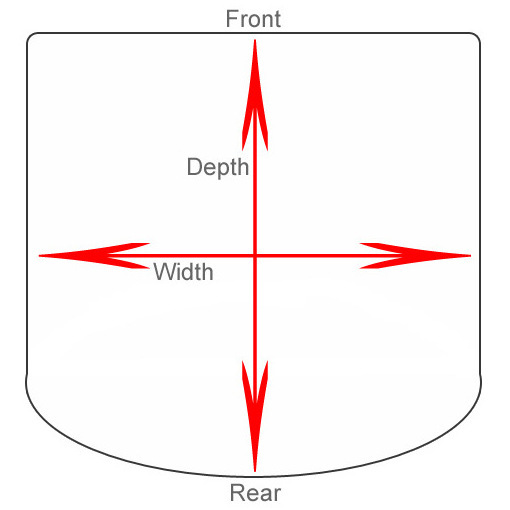 ORDER NOTE: Confirm which Sup'Air harness (model, size) you're ordering the seatplate for, and give the seatplate measurements (depth and width in cm) as per the diagram below, when you place your order.